Writing has always been a creative outlet for me. Growing up I would pour my frustrations, fears, and angst into my stories. And as everyone knows, your teen years are emotionally chaotic to say the least. It’s particularly difficult for gay kids. Growing up in the 80s had its own unique challenges. AIDS had turned gay people into the boogeymen of the time, we had a homophobic president that ignored that crisis, and we had no role models in the mainstream to look up to. The hate was everywhere, even my parents were homophobic and often commented that gays should all be rounded up and shipped off to an island to die. All of that found its way into my writing in one form or another making my stories unsettling on many levels. I still use my writing as an outlet for my fears, frustrations, and angst, but with a level of maturity that has developed over time. I’m much better at character development now than when I was a teenager, but my imagination was limitless back then. Sometimes I go back and read stories I wrote in high school or even junior high and marvel at the imagination presented there on the paper, even if the stories themselves weren’t very good. Some of the ideas in them have found their way into my adult projects. 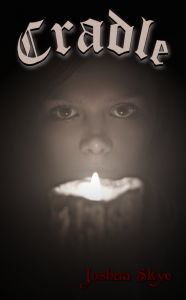 My first story published with Sirens Call, Timothy appearing in Childhood Nightmares: Under the Bed, was a story I first wrote when I was in my teens. Over the years I’d written several drafts before I was finally happy with it. It is a genuinely disconcerting story. I’ve gotten very good feedback on it. 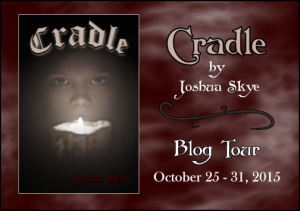 My newest novel Cradle, as a sequel to The Angels of Autumn, explores the same themes, heartbreak, addiction, loss, abuse, and neglect in both literal and metaphorical ways. It is an unapologetic genre story, and I definitely go for the gut-punch. Whereas Angels had an epic quality to its action, Cradle is more personal, more focused. The horror is concentrated, imbuing the story with a claustrophobic edge. My characters are recluses of a sort, loners who have retreated into isolation in which they find themselves haunted by more than the horrors of everyday reality. In my villain, I wanted to craft a deeply demented character that would disturb readers. He’s a true monster, inside and out. Opposing him are Radley and Scotty, my main protagonists. For the true horror of the story to work, I knew they had to be vividly drawn. The reader had to sympathize with them, relate to them even if their lives are a bit alien to some. 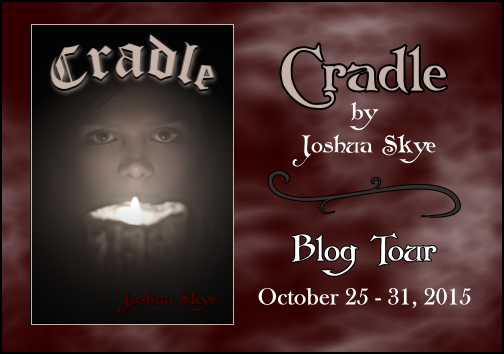 It all came together and Cradle does exactly what I set out to do, to shock the reader. I look forward to hearing from people about their experiences reading my new book. 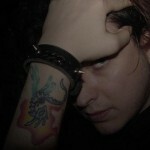 Award winning, bestselling author Joshua Skye was born in Jamestown, New York. Growing up, he split his time between Pennsylvania and Texas. Ultimately he settled in the DFW area with his partner, Ray – of nearly two decades, and their son Syrian. They share their lives with two dogs, Gizmo and Gypsy, and a chinchilla named Bella. Skye’s short fiction has appeared in numerous anthologies including Childhood Nightmares: Under the Bed, and periodicals such as The Sirens Call. 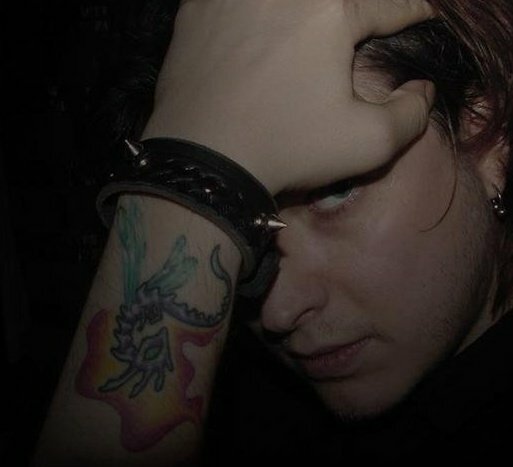 He is the author of over ten critically acclaimed novels, among them The Angels of Autumn that takes place in the same nightmarish universe as Cradle.